Prepare two control slides that you will keep inside a closed shoe box over the same time period. Make sure that your outdoor slides will not be disturbed over the time you leave them in their location. After you have left the slides for the specified time period, when you retrieve them make sure you label each one with its location. You may want to collect the slides inside a shoe box to ensure they don't touch each other. Place each slide under the microscope, starting at the lowest magnification. 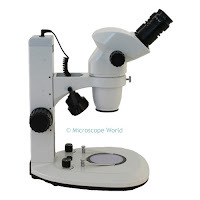 Once the microscope is in focus, increase the magnification and move each slide around a bit under the microscope. What kinds of particles have collected on each of the slides? Did some locations collect more debris on the slide than others? How do the slides compare with your control group slides that lived inside the shoe box all week? Which slide has the most particles? What do you think the source of the pollution is on each slide? Would there be a way to reduce this type of pollution? Do you know of any laws that are in effect to help reduce pollution?